I am standing on a piece of corrugated iron. Around me the rubble of a building, the smell of burning rubber, four big rats rummage near my feet. They are within reach. I am within their reach. Three meters away a little child, maybe three, sitting, smiling. 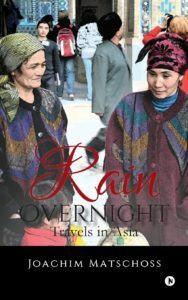 Rain Overnight is the perception of foreign lands through the eyes of the author who travels all over Asia over the course of his life. He was always fascinated by the theatre and he was intrigued by new places and journeys from a very young age. As a boy, he loved everything about the theatre and now some sixty years later he still does. Joachim Matschoss is a playwright, poet, and theatre-maker who is fascinated by creating work from scratch, starting with a thought, image or a piece of music. He believes there is always a story to tell, to listen to. Joachim is less interested in seeing a piece of theatre grow like a flower, but more so like a weed, something raw, something with cracks, and something that is challenging both the performer and the audience member. 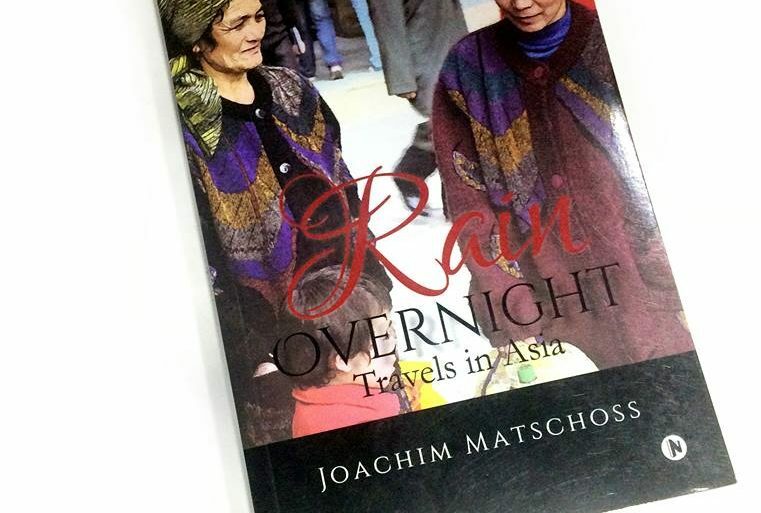 In Rain Overnight, he combines elements of poetry, story-telling and travel memories as experienced by him on his travels. There was so much to see and experience in Taipei. From museums to markets, temples to shopping malls (not like the ones in Australia), this city had it. I walked pretty much everywhere because through walking you could really sense the heartbeat of a place. Many travelers catalog their travel experiences in a very structured format by highlighting the pros and cons. Rain Overnight is different as it’s not just a regular travelogue. It’s a raw blend of theatre and travel expressed in the form of disconnected experiences that each of us go through when we explore a new place. It’s a fresh new style of writing that makes you just want to pack your bag and set off on a journey of your own. You like anything related to travel or literature or both! It’s a style of literature similar to James Joyce’s Ulysses, Zero Degree by Charu Nivedita or Ordinary Affects by Kathleen Stewart. For the traveler in you, it will bring back memories of shows such as Highway on my Plate and travel documentaries such as Tracks and Baraka. If you would like to read Rain Overnight, you can find it on Amazon or the Notion Press bookstore. Bookworm and taboo addict! I love dessert as much as I love to talk. Accidentally became an English language trainer and now masquerade as a Grammar Nazi so I can be an editor. A cynic who believes that travel is her only salvation.